Today, September 27, 2009, is my birthday. Nevermind how old I am; that’s not important! I imagine every one of us has received great birthday presents over the years: clothing, dinner and a movie, money, etc. Some presents stand out more than others, however. That’s what I want to talk about today. Okay, the title seems misleading, but really it’s not because it is the truth that Sarah Palin gave me the greatest birthday present ever–a present that was delivered to me a year ago. It’s a present that–unlike other year-old presents–has appreciated rather than depreciated in value. It is a present that has grown rather than diminished. A year ago when Governor Palin showed up on the scene, she personally gave me things that changed my life. I know I’m not the only person who received these gifts from her because I have heard multitudes of people say she gave them the same gifts. Prior to September 2008, I had never felt passionate about America, about the military, about the unborn, about special needs. If I had been asked, I would have stated emphatically that each of these were important to me and worthy of admiration and respect. I would have declared the importance of someone standing up for every one of these. It’s just that that someone had not been me. Until September of last year, I had never realized that there was a call upon my life to make my voice heard, to make a difference in this way. I was never a patriotic person. I mean, I knew that this country was a good one, that we were blessed to be Americans, but I simply wasn’t what I’d call passionate about America. 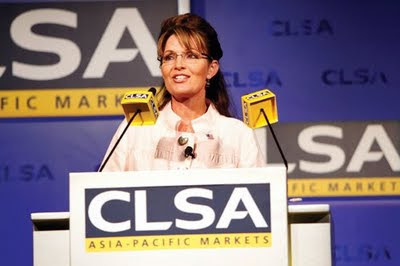 Something happened when Sarah Palin showed up with such a love for America, its people, and its future. Something happened as I watched the sincerity in her eyes as she stood and reverently pledged allegiance to our flag. Somehow I went from appreciating this country to loving my country. My uncle fought in the Korean War and my dad was in the Vietnam War, so I understood that men and women sacrificed their own personal freedoms to fight for a cause greater than themselves. I understood that they placed their lives on the line for the sake of America and what she represents. But to be honest, I didn’t really love our military…until Sarah Palin. When she spoke about the cause of freedom, the soldiers–like her own son–who made their own independent decisions to fight for the cause of freedom, something clicked within me. All of a sudden, I loved these men and women, I honored their sacrifices, and I wanted to see them given every opportunity to successfully complete their tasks. I never wept on Veteran’s Day or Memorial Day…until Sarah Palin. I never participated in a Fourth of July parade…until Sarah Palin, which brings me to another point. Sarah Palin’s present to me took me all the way to Alaska for a month this summer. It is unlikely that I would have ever even heard of Wasilla, AK–nevermind visited Wasilla, AK for a chunk of my summer. But on July 4, 2009, I was marching in a parade in Wasilla with other great Americans, marching with a pride that can only be explained in two words: Sarah Palin. March in a Fourth of July parade? Before Governor Palin, I couldn’t even stand to watch a 4th of July parade! But there I was. To back up a little, I never really prayed for an election like I did last year. Somehow I grasped what was on the line, and I began to cry out to God for this particular election before I even heard Sarah Palin’s name. She was that answer to prayer. And once she showed up, I had someone to vote for. Before her, I had never truly voted for a candidate. 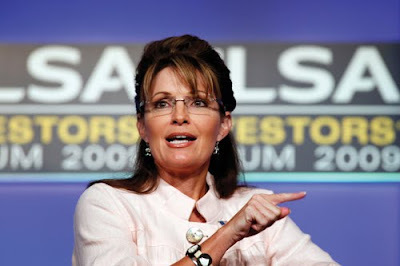 I voted against a candidate in 2004, but I didn’t really vote for anyone until 2008–and that someone was Sarah Palin. I rejoiced to cast my vote for her. And I wept on the eve of that election day–for the first time ever. It was shortly thereafter that I got involved with the 2012 Draft Sarah Committee, eventually becoming the New York State Organizer, an Executive Board Member, and the Media Director. Me…involved in some kind of political movement? No way! But I knew on the night that Barack Obama became President-elect Obama, that we had not seen the last of Sarah Palin. In fact, that is exactly what I said through the sadness that night. I just knew at that moment–as surely as I knew my own name–that it wasn’t over, and so I wanted to throw myself behind supporting someone who had so changed my life and my focus. It was during this time that I became involved in Team Sarah. I had never seen such a power house emerge so quickly. People from all over the country–and even some from other countries–were committed to remaining strong in their support of America’s governor. The next month, I knew I had to do more, I had to say more, and I had to fight more. That’s how Motivation: Truth was born. Little did I know at that time, that this conservative blog would draw readers from all over the world. Little did I know that it would stand strong alongside other blogs that support conservative principles and conservative leaders like Sarah Palin. How was I to know then, also, that I would end up being a contributor to at least ten other blogs that stand strong for Governor Palin? This is another gift Governor Palin gave me. In February, I went to CPAC, the largest gathering of conservatives in America. I had never been there before, nor had I ever heard of it before. But there I was in the company of Ann Coulter, Newt Gingrich, John Ziegler, Joe the Plumber, Fred Thompson, Michelle Malkin, Mitt Romney, Michael Steele, and so many others. There I was handing out stickers and buttons with 2012 Draft Sarah on them. There I was meeting with Team Sarah members. And there I was fired up to come back home and continue the fight. Sarah Palin’s voice made me raise my own voice on issues of life. I became involved with the local Alight Pregnancy Support Center, offering support to those who are facing unplanned pregnancies. I decided that the best way to fight abortion was to work ahead of time and teach sexual integrity classes, which a friend and I began doing. Starting next month, I am taking that message to my junior high school through our afterschool program. I now have a deeper appreciation for our special needs children, something I never really thought a lot about before…until Sarah Palin. Through Trig I have an understanding of how much they teach us, how much growth they cause in us, and how perfect they are in God’s eyes. It’s a lesson that has influenced my classroom and interaction with my students. It’s a change of heart that transpired only when Sarah shared Trig with us. I got the message because Sarah gave me that gift. Probably the most incredible gift Sarah Palin has given me is the gift of friendship. She probably will never know the amount of people she has brought together. I have friends now that I never would have had. In fact, I was marvelling at the fact that my first three birthday wishes came, not from New York, but from three different parts of the country. My first “Happy Birthday” came from Irma in Georgia, followed by Tracey in Alaska, and then Mary in Houston. By the time I returned from church today, I had about 50 different birthday messages from all over the nation–people from Facebook, Twitter, the 2012 Draft Sarah Committee. These are people I connected with simply because Sarah Palin brought us together. I communicate with hundreds of people because that’s the birthday present Sarah Palin gave me. It is absolutely amazing. My trip to Alaska, for example, allowed me to meet people who left an indelible mark upon my life. Of course, meeting Sarah’s parents and children were an absolute joy. Her mom, in particular, remains a highlight for me. Her sweet spirit truly left me better off than before meeting her. I saw in her eyes a kindness that is so needed in this world. In her voice is a gentleness that makes those in her presence feel comfortable and safe. In her spirit is a sweetness that explains where Sarah got the same spirit. I also met a few people who follow my blog. That was fun. Rosie is one such person. She was excited to meet me at the Wasilla picnic after the parade and to take a picture with me. I was like, “Me? !” By the time I had left Alaska, Rosie and I had seen each other several times, I had met her husband and children, we had lunch together, and just had a wonderful time. I met Ivy, a woman who works, from the heart, for Sarah Palin. You want to talk about true-blue. Ivy is true-blue. My prayer for Sarah is always that she will be surrounded by those who have her best interest at heart, those who would give their absolute all to stand beside, defend, and support her. She has that in Ivy, and Ivy made me feel at home on the Fourth of July. She was the one who invited me to walk in the parade with the Valley Republican Women’s Club, welcomed me to Wasilla, and introduced me to Sarah’s parents and Piper. I cannot say enough about Tracey. Tracey and I hit it off from the beginning. We connected, and still communicate just about every day. From meeting for lunch several times, to dinner at her home with her family, to hanging out at Pandemonium, to traveling to and from Fairbanks, we spent much time together. This is a friendship, I believe, that will last forever. Jessica was also a delight to meet. 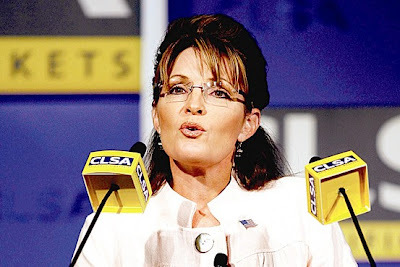 Many know her as Jessica Beehive, Sarah Palin’s personal hairdresser. We know what a talented hairstylist she is just by looking at Sarah, but she is also a sweetheart. Meeting her was a treat, one that I will cherish always. Eddie Burke, beloved Alaskan radio talk show host, has become dear to me. He opened his studio and allowed me to come on and talk about the 2012 Draft Sarah Committee and Sarah’s resignation. After I returned to New York, he had me call in to the show to talk about Obama’s address to students on September 8th. 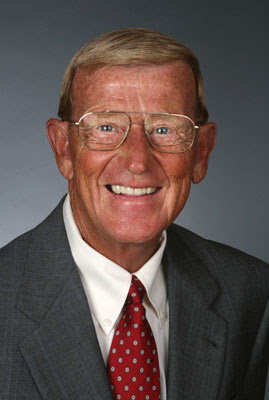 He has been an encouragement to me and a great defender of Governor Palin. Would I have ever met Eddie prior to Sarah Palin? I doubt it. Lynette Bergh is my dear friend–more like a sister. She and her husband were such a blessing to me during my stay in Alaska. They opened their home and their hearts, fed me delicious meals, including the long-awaited moose chili, and treated me like family. We, too, will always be friends. I would be remiss not to mention April Moore. She is responsible for showing me so much of the great state of Alaska: Fairbanks, Wasilla, Palmer, Anchorage, Homer, Seward, McCarthy, Valdez. We were everywhere–and none of this would have been possible without April. 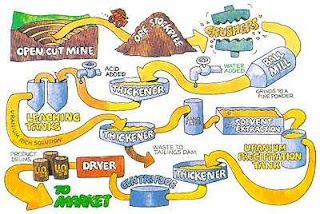 I am forever indebted to Tom and Kim. Had it not been for them, I never would have had the confidence to plan this trip to Alaska. Tom told me months before going that I not only would enjoy Alaska, but that I needed to go to Alaska. He sensed there was a purpose in it all, and it was a confirmation to me. He was right. His prayers, and his wife’s, provided me with wisdom that I needed–and the rest is history. I spent the last part of my trip with Olga. What a blessing she and her daughters were. Olga and I are still close, communicating often. Olga’s prayers move mountains, and I have no doubt that I needed to end my trip to Alaska with her. She blessed me in ways I can’t fully express. 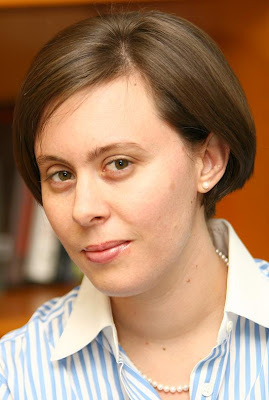 I could say so much more, but I will simply say that I believe Sarah Palin is so very blessed in part because people like Olga are always praying, always interceding. Meghan Stapleton’s name speaks for itself. I would never have met Sarah in New York had it not been for Meg. I am grateful for her, and for her support of Sarah. She is another who is true-blue. When I think of her, I think of a person who possesses a servant’s heart–something so lacking in this world and yet so needed. Todd Palin, too, truly touched my life and blessed me. When I first met him, I thanked him for being such a secure man, exemplifying such “quiet strength” as he selflessly stands by his wife while she does what she’s been called to do. He assured me that they work together, each doing their part. The problem with naming names is it’s impossible to name everyone. There are so many gifts from so many cities in this great nation: there’s Lynn, Gayle, Jill, Denise, Billy, Ana, Pastor Kalnins, Jo, Phil, C4P, KJNP, Mayor Graham of Watertown, NY, Kristina, Randy, Susan W, Lisa, Ron, Atlas Shrugs, Kenton, Rachelle, Raj, JD, Nande, and on and on. Sarah Palin has brought all of us together. Like I said, she will never know the full impact she has had on all of our lives. Obviously, the moments I spent communicating with Sarah herself are moments I will never forget. They left me better off. They gave me the added assurance that she is the real deal, as if I didn’t know that already. They gave me a deeper desire to stand up for her, for no one else has had to take the abuse that she has taken for us–for me. If she can do that for me, the very least I can do is stand up for her. They gave me a better understanding of how vital she is to America’s progress. More than anything, they gave me a stronger commitment to pray for her. Sarah Palin’s gifts to me are too numerous to count and name. I know this is bigger than she is, however. I believe God has used her to get me to a place He wanted me in. He used Sarah to ignite a fire within me so that I would stand up for what’s right, be active, and fight with everything within me. He used Sarah to bring multitudes of people together who would never–before Sarah–have had an occasion to talk, to meet, to stand together for the cause. 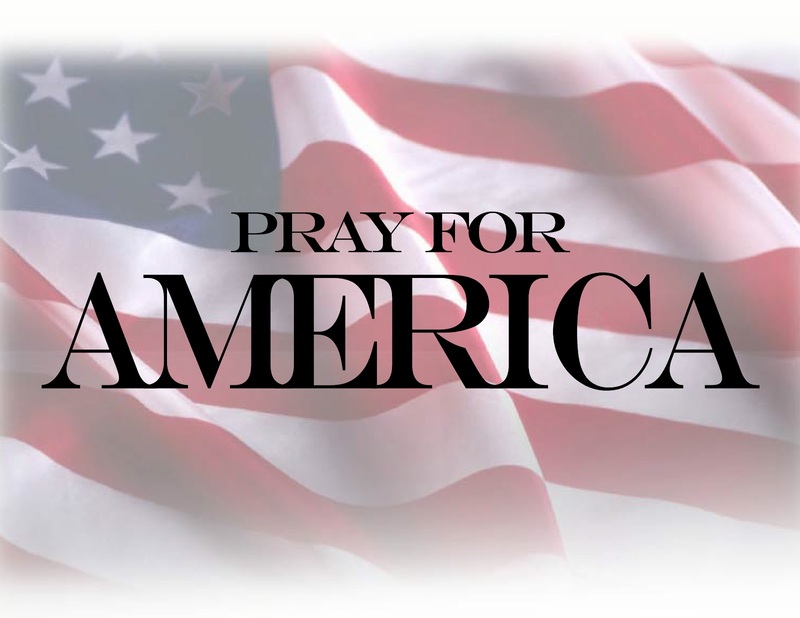 When Sarah Palin walked into America’s heart, a fire was shut up inside my bones–a greater love for God, for America, for our military, for our children, for freedom, and for life itself. I had never experienced such great passion, and I told a few people, “Well, if it disappears in about two weeks, I’ll know I was just caught up in the moment. However, if it remains, I’ll know there’s something to this thing.” I think it’s safe to say there’s something to this thing! I do not have it all fully figured out yet, I do not yet know all that God wants me to do with what He has birthed within me through the gift of Sarah Palin, but I do know He’s got a plan–and I will work with all my might to support the one he’s used to light that fire. 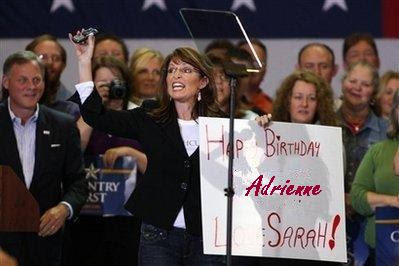 Thank you, Sarah Palin, for giving me so much and making my birthday so special. On August 3rd, in an article called “Fagan Who? More Apologies to Sarah Palin Coming,” I expressed what I believed to be the first of many apologies that would be extended to Governor Palin. Certainly Dan Fagan’s admission of guilt was not a small thing after such vehement criticism of the governor. What the title suggested, however, was that there would be many more apologies to follow, and the article went on to express why I was making such a claim. The big surprise was an apology printed in the Anchorage Daily News by Dan Fagan. Now, for those who don’t know, Fagan is a talk show host in Alaska. 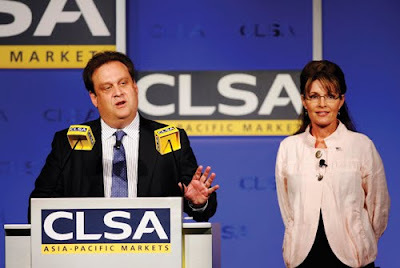 He is most known as a chief Palin hater in her state–very vocal, very disrespectful, very anti-Palin. So what happened? The apology issued, as far as I can see, is only the beginning of more to come, just a confirmation of what I knew was coming. It seems so wild, so far-fetched, so completely out of the blue–but expect more. Not everyone is going to understand the popularity, power, and success Sarah Palin will increasingly experience, and I’m sure that’s no surprise to you. But mark my words: more realizations that the personal attacks against her were wrong, and more accurate, evil, are coming. 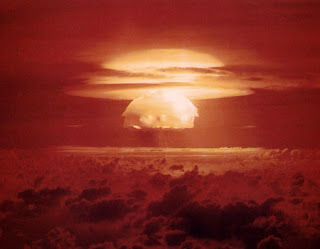 Read the entire article here and discover the reasoning behind my prediction, prophecy, or insight–whichever you choose to call it. There can be no argument that our use of the word “broad” is anything but offensive. To use this word to describe someone of the stature of the former governor — who is also the former vice presidential nominee of the Republican Party — only adds to the anger that many people appropriately feel. There’s widespread belief that too much meanness exists in political discourse today. The media, already held in low regard, need to be extremely wary of that meanness slopping over into their own work. I am responsible for the content of this newspaper and need to ensure that our employees adhere to acceptable standards of decency. I will say it clearly again now: We made a terrible mistake. Mrs. Palin, please accept this apology from the Fairbanks Daily News-Miner. And please accept it from me. None of this is to say that all who have heretofore despised Governor Palin have had a complete change of heart and are now her most ardent supporters. What it does say is that people are changing their perspective of the governor–and a change of perspective will always be followed by a change of approach. Not too long ago it seemed impossible for some to deem her worthy of any respectful treatment whatsoever. The idea of actually apologizing to her, even when an apology was in order, would have been unthinkable. The hatred, the anklebiting, the media malpractice–so intense–had rendered her fair game for derogatory comments of all sorts. Nothing seemed to be off limits–not her family, not her intellect, and certainly not her gender. Use of the word “broad” would absolutely not have elicited a formal apology. Now Governor Palin has had some months of calling her own shots, rather than being mishandled by a campaign that failed to recognize and capitalize on her strengths. Now she is free to be the Governor Palin her constituents in Alaska always knew she was when her approval rating was through the roof. Now she has emerged with wisdom on health care, tort reform, and foreign relations. She is speaking in her own voice both at home and now internationally. She is playing by her own rules this time, and she must be taken seriously. Even those who were fiercely critical are waking up and taking notice. It is precisely this kind of notice that makes people do a self-check when they step out of line. It’s called respect. Now that we get to see more and more of a Governor Palin who has the liberty to speak freely, now that Governor Palin gives herself permission–as her dad said during the campaign–to “Let Sarah be Sarah,” more eyes will see what millions have already seen, and apologies will come as people come stand behind this leader who is standing behind America. Once again, mark my words. 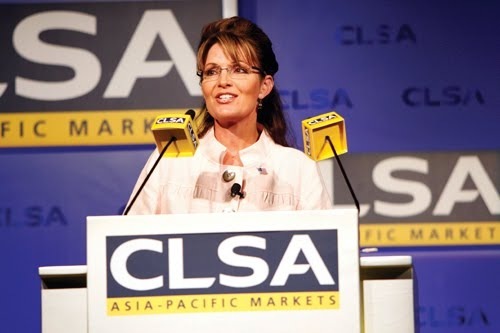 Sarah Palin stopped to speak at the airport as she prepared to depart Hong Kong where she spoke at the CLSA Investors’ Forum. Her speech, considered a major success even by her critics, was closed to the media, but you may read about it here.